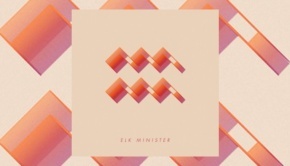 There are artists, there are conceptual artists, and then there is Elk Minister, a man on the cusp of a year in which he plans to release 26 albums – yes, that’s one every two weeks! – during a period that he has christened ‘The Year of the Elk’. 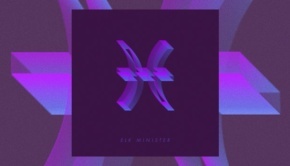 Legend has it that Mr Minister was born in a log cabin deep in the forests of upstate Colorado. Raised by his mother and his Uncle Radcliffe, young Elk developed an affinity and love for music, philosophy and science. Aged seven, Elk was writing and recording his own songs on a homemade tape recorder built by Uncle Radcliffe, and in 1999 he wrote an opera with his imaginary friend Gerald. I became aware of Elk’s work via the quirkily different There’s A System of Control, released around a year ago now, and it appears that he has not been idle in the interim. At less than 18 minutes duration, Capricorn is an album in name only, but as it’s available for ‘Name Your Price’ on Bandcamp, it would be not only churlish but a bit rude to complain. Effectively, Capricorn is just the first section of a gigantic work in 26 parts entitled The Book of Slaw: Songs From My Great Aunt Coleslaw. The complete piece is forecast to range widely in styles, but each album will have a connecting theme, based on the story of Elk’s Great Aunt, who wrote all the music and lyrics. She inspired him to play music and whenever Elk was feeling sad as a boy, the music of his Great Aunt Coleslaw always cheered him up. Her consciousness now resides in the future, but with the help of Gerald, Elk has been able to communicate with her and learn her music. Probably. Half of the albums – the even numbered releases – will be a mix of spoken word and drone/ambient music, at the end of the year all of the spoken word parts will be compiled into a physical book with pictures and artwork. So what’s it like, at least this first part? Well Everything is Make Believe is a woozily engaging song, piano based with Elk’s fragile vocal. What makes it work are the peripheral additions, strange sounds and instruments that you can’t quite put your finger on. 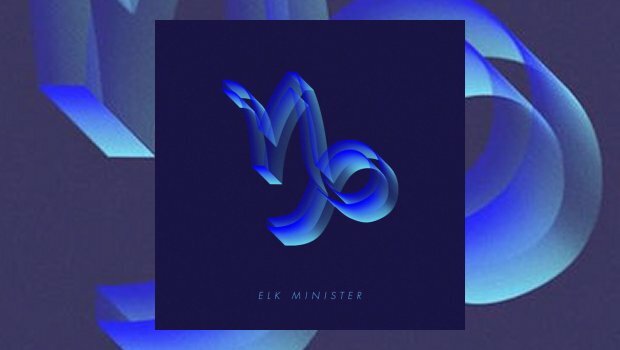 The Over/Under Waltz is the first of three solo piano pieces that give Elk’s musical skills full rein, very nicely done and showing real ability. Likewise Dramatic Tendencies which is both frenetic and delicate, all at the same time, and Theoretical Darkness with its sedate and regimented cadence. Much of the music on these albums will be microtonal, as in Red Pistachio and Synthetic Human on this release, written using 19 notes per octave instead of 12. 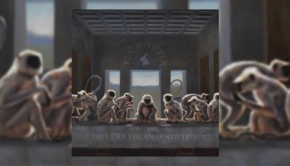 For both of these tracks there’s an otherworldliness, accentuated by the drones and treated vocals over regular drum rhythms. It all goes towards creating the alternative universe that Elk’s music seeks to inhabit. There’s a vivid imagination and much skill at work here and Elk Minister cannot be criticised for any lack of ambition. It’s intriguing and well realised and at the end of the year his catalogue will not only be greatly enlarged but also much richer. Certainly not for everyone but those who seek the unusual will find much to enjoy in Elk’s world. For me, I think I prefer the solo piano pieces here – which are quite lovely – but it is the off-kilter weirdness of the rest of it that makes it work. I’m looking forward to a bi-weekly fix of the unorthodox from this singular talent, and although I doubt I’ll review every one through the year, don’t bet against there being some kind of compendium round up at the end!